Termites are tiny creatures, which are useful to the environment due to their ability to break down dead trees or rotten wood hence the formation of manure for plants. However, when they invade your home, you can incur millions of dollars from the damage they can cause. Positive Pests Solutions in Glen Waverley, Mount Waverley & nearby suburbs guarantee total protection from termites and extermination of termites’ colonies in case they have already formed. To prevent massive damages and to incur of great costs for repairs, it is recommended that an annual termite inspection is carried out in the very homestead. By doing so, termites are detected early enough and therefore making it easier to control them. 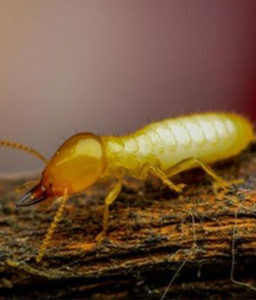 Termites’ inspection aims at assessing conditions that could increase the chances of termite infestation and the possible methods of minimizing the risks of termites attack. Unobstractive bait for termite stations is placed around your property perimeter wall to detect any termite activity. They are designed in such a way that they prevent termites from entering your structure, and instead, they force them out where they can be easily detected. Involves the use of underground pipes, which form a very extensive network that distributes a chemical all over the foundation of a building to keeps termites away. Using timber that is termite treated for any construction. Termite inspection should be an annual activity in normal circumstances, but it can be done more than once in a year depending on the susceptibility of your structures to be infested by pests. 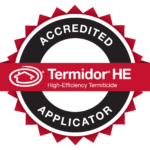 Termite & pest control and inspection measures by reputable professionals will save you the great damage caused by termites.